GGS were delighted to be commissioned to design, print & install an exhibition stand for our client, The Castle Colour Press Ltd. 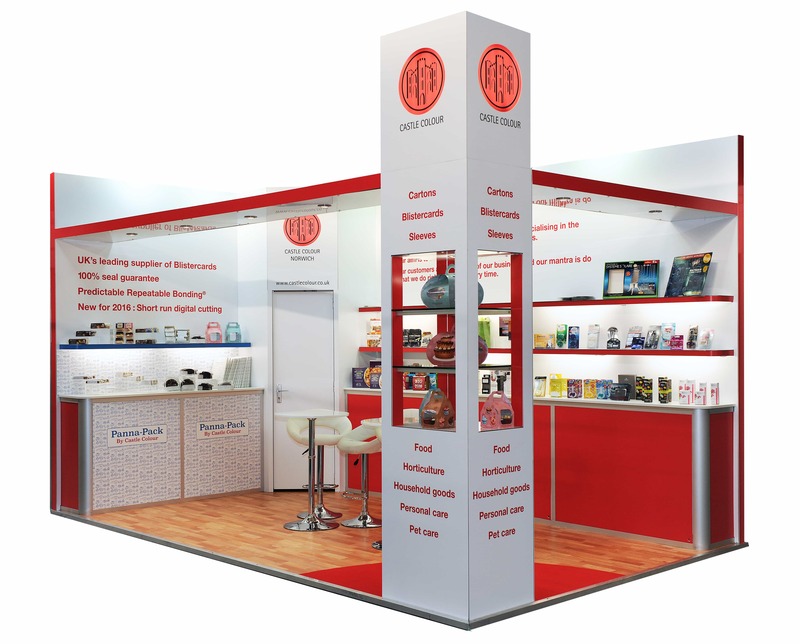 They produce a range of products including blister cards, cartons, sleeves, wallets and shelf ready packaging and they wanted GGS to create an exhibition stand which would show off their latest products as well as being clean and simple. The Packaging Innovations show which is held at the Birmingham NEC is dedicated to bringing the packaging industry together. It’s a chance for manufacturers to demonstrate new innovations, inspire developments and new approaches, and discover the latest trends and technologies. As the leading event in the UK, the show provides essential networking for all those involved in all aspects of packaging. 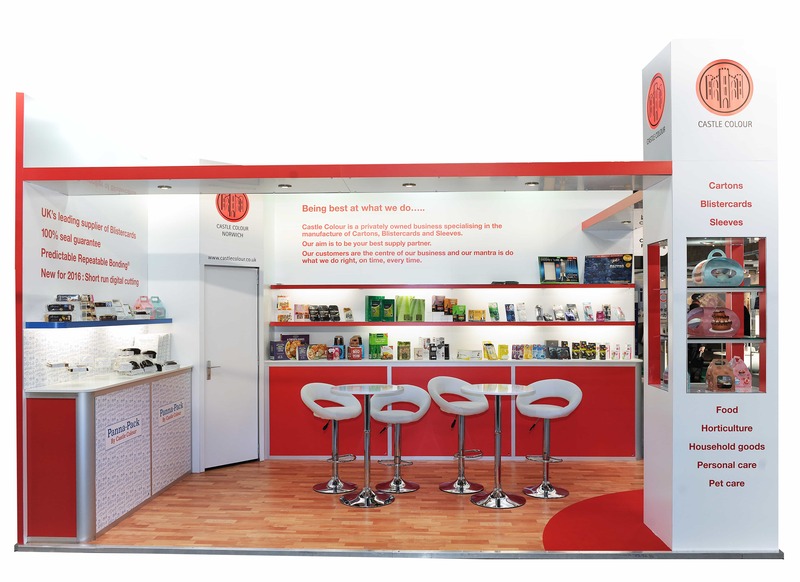 The 3 x 5 metre stand created from our hire stock is a simple and yet eye catching design, with a pop of The Castle Colour red to make it stand out from the competition. The stand is equipped with handy colour coordinated shelving units to showcase their latest packaging and a lockable store room to keep products and belongings safe. Use of our white bar stools and table along with a laminate floor gave the stand a nice modern finish. We wanted to add something with a little wow factor to the stand without taking away any attention from the products. A simple change from graphic printed logos to backlit logos made a subtle but interesting change making the stand a little more unique. Castle Colour Press were knocked out with the overall finish of the exhibition stand and we are already in the process of making arrangements for the 2017 shows. Back at GGS HQ there’s still no sign of slowing down and in two weeks’ time we will be heading back to The Birmingham NEC with our client, Natures Menu, for the 125th year of Crufts.